Capital Recycling Solutions originally wanted to operate a waste-to-energy plant at the Ipswich Street site beside the rail line but bowed to community concerns about emissions and air quality, shelving that plan in favour of recovering recyclables from waste that would normally go to the Mugga Lane tip. They would be shipped by rail to Port Botany, while the waste residue would go to the Woodlawn bioreactor. CRS is awaiting the outcome of its Environmental Impact Study from the planning authority before it can proceed with a development application for its Material Resources Facility (MRF) but the company says that the rail freight terminal is independent of its plans for the MRF and would operate whether it goes ahead or not. 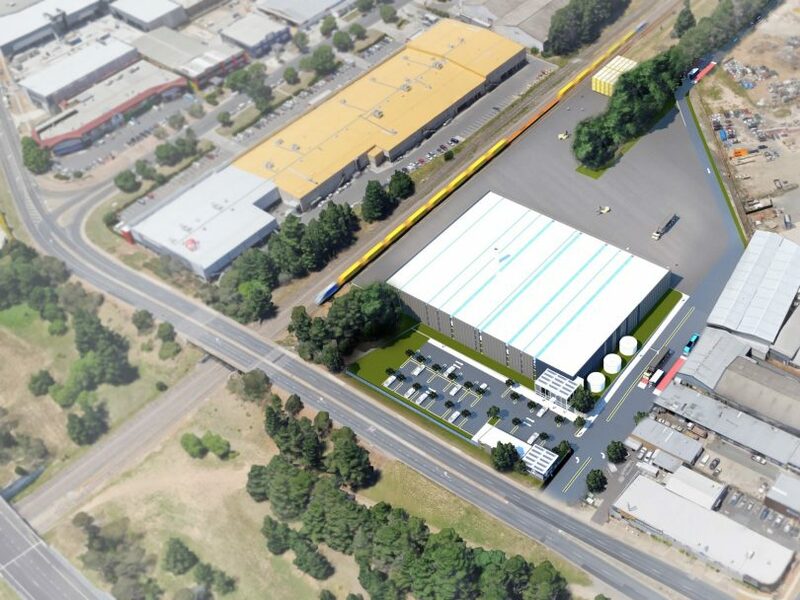 The site is leased to CRS and the proposed rail freight terminal will consist of an 8100 square metre hardstand area that would extend 440m along the “south shunt”, with a width of 18.4m and a height of 1m. The terminal would operate 6 am to 10 pm Monday to Saturday and 8 am to 2 pm on Sundays, with five trucks a day on average entering the site via Lithgow Street and exiting on to Ipswich street. Director Adam Perry said the terminal would also service the MRF if it was approved, but the company was already trucking 30 shipping containers of scrap metal a week to Goulburn, where there were transferred to rail. He said other businesses bringing shipping containers in and out of Canberra from Port Botany would also want to use the facility. “It’d be just like any general freight hub – anyone who wants to take a container to or from Port Botany could come through that facility and save money,” he said. Mr Perry stressed the rail freight terminal was a standalone proposition and people who oppose the MRF should not automatically oppose it. He said the NSW Government, which would upgrade the line for the rail freight terminal, supported the proposal as it fitted in with its regional freight strategy and it didn’t want trucks going in and out of Port Botany along motorways through Sydney. “It’s crazy that we have to take those containers to Goulburn when we could be putting them on the train just across our back fence,” Mr Perry said. Meanwhile, the company is at the business end of the planning authority’s assessment of its Environment Impact Study for the MRF. “It’s at the back and forth stage,” Mr Perry said, with the authority already requesting some clarifications. On Friday (15 March), CRS comprehensively won a court action, including costs, over the revocation of a development approval for preliminary works related to the MRF. Mr Perry said the decision was a good step forward for the company but it was an unnecessary and wasteful process and would mean more negotiations with the ACT Government on the development consent, as well as costs and damages. Less on road and more on rail should be the mantra. I think you mean, the light rail that a small fraction of Canberra residents didn't want! The more that goes on to rail, the better.